Few things are more impressive than a Queen reigning over her realm. These Queen model chimney pots from European Copper don't just look beautiful and regal thanks to their Freedom Gray finish, they also serve a valuable purpose. The topped, screened-in construction means they protect your chimney flue from both rainwater and unwanted pests, helping to keep your home secure. 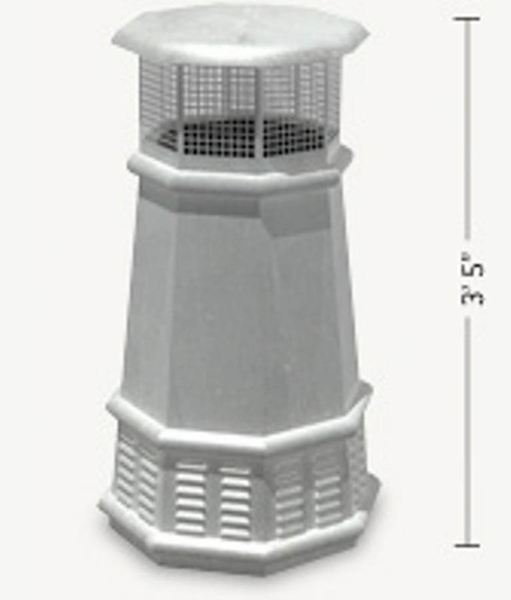 Each Queen chimney pot stands 3' 5" tall, and covers openings up to 13" by 13".